There is a café in Tokyo that I used to haunt. 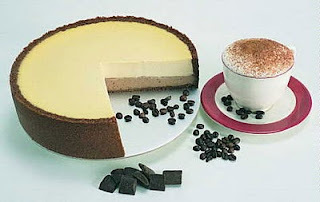 You have to drink their coffee to believe the flavour and the cheesecakes there are simply to die for. You would find me there every weekend, enjoying their coffee or simply spending time reading or working. Today, sitting in Delhi, thousands of miles from Tokyo, I suddenly thought about that cafe. I felt as if I was sitting there, in that soft-cushiony red sofa by the wall with a cup of cappuccino in front of me. I could actually smell the coffee, feel the mist swirling up from the cup and the rich dark aroma of that heavenly brew tantalizing my taste buds. I could see the chocolaty-brown froth delicately balanced on the top. I almost saw my self digging a spoon in the slice of moist, creamy-rich cheesecake and feel it melting in my mouth. My taste buds are all a-tingle now and suddenly all I want is a cup of that coffee. which cafe? Is it in tokyo? @Swaram - I hope you get to go back soon ! Often I've heard HD saying this !! hummm i love coffee most of time....nice blog dear i lke it !! hey why dont u visit at my blog i hope u like it !! Oh my... I know the feeling! There are so many such moments about different things in India not available here in Europe. Nice to have found your blog - so thanks for the comment. @colours - thanks, glad you enjoy it ! @toemailer -thanks and u have a interesting blog !